Designed to make the most of the site’s spectacular sea views, this Red Beach home features elegant curves and innovative use of building materials. 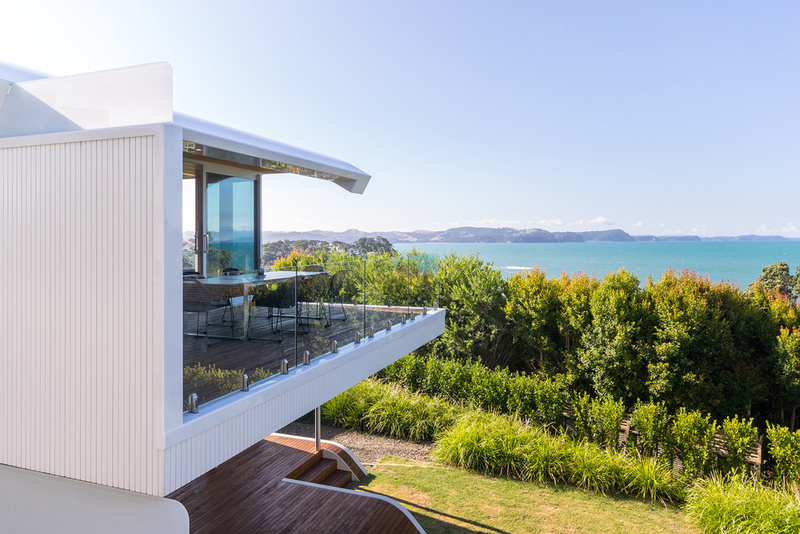 Constructed over four years, this 560sqm home includes three bedrooms and a large, open-plan living and dining area with views to the sea. The building’s design features two curves, which intersect each other in section and form a unique architecture that is both grounded into its site and thrown toward the sea views. Innovative use of materials enabled the design to achieve a seamless skin over the curved forms, with expansive glazing and vertical weatherboards sandwiched between them. 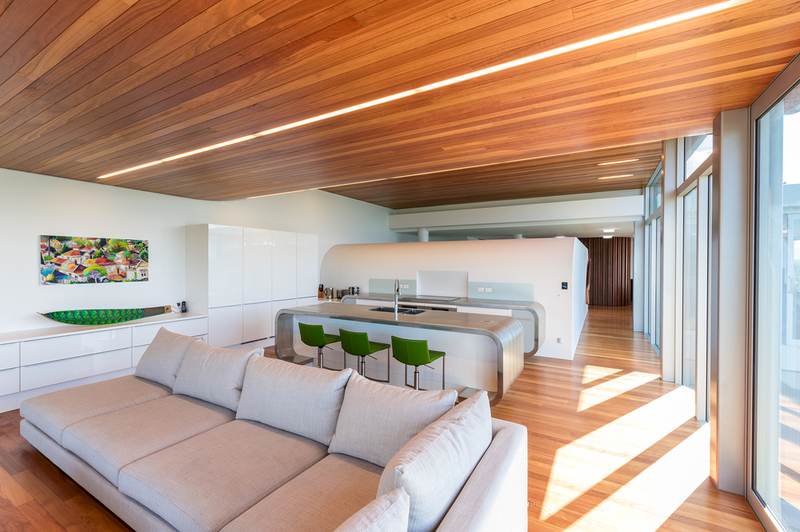 Inside the home, the materials follow a minimal palette and the architecture wraps itself around the inhabitant, creating an uninhibited experience of the constantly changing interior spaces and the spectacular views outside. State-of-the-art technology features throughout the home and the entire house is smart-wired with automated sensor controls that turns lights on when movement is sensed. In the garage, the German-made garage door opens in just 1.5 seconds. All of the roof materials, and some external wall pieces, were cut by CNC machines and constructed on site with the assistance of professional boat builders to ensure a flawless finish.